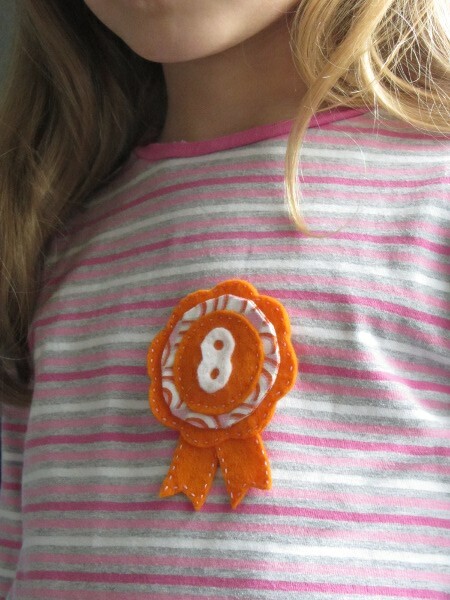 Here is a lovely birthday badge made out of felt and printed cotton. 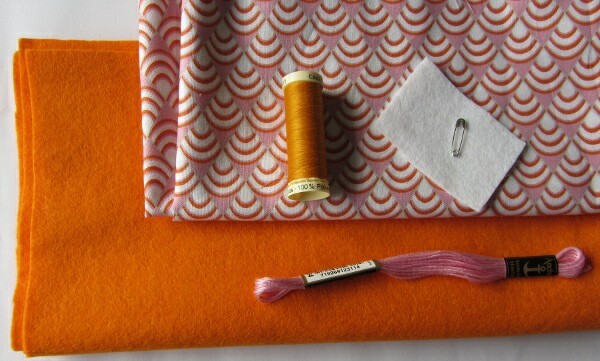 I am definitely in love with the alliance of orange/pink pattern and bright orange felt. This is quite an easy project and it is a matter of two hours to get it done. I provide the pattern below for all shapes except the number, which could by the way be replaced with any letter or relevant symbol. 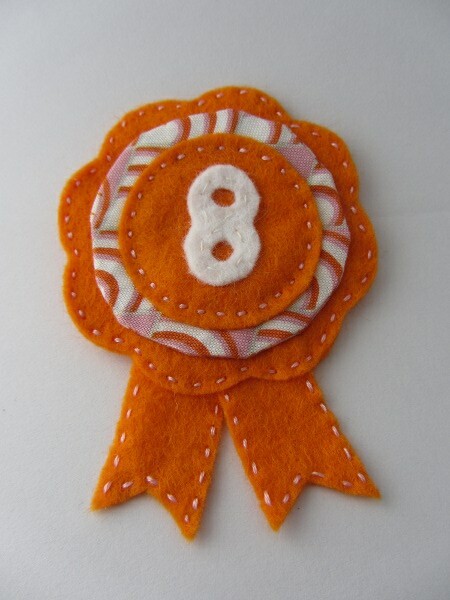 Below are the steps to make this felt and cotton birthday badge. Using provided templates, cut out the fabric pieces. 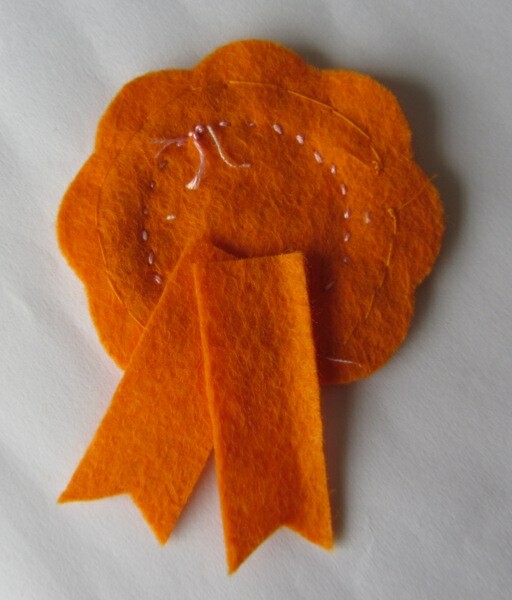 Orange felt: 2 flower shapes, 1 smaller circle, 2 ribbon ends. Pattern fabric: 2 larger circles. White felt: relevant age number. Picture 1 below shows fabric and felt pieces you’ll end up with. 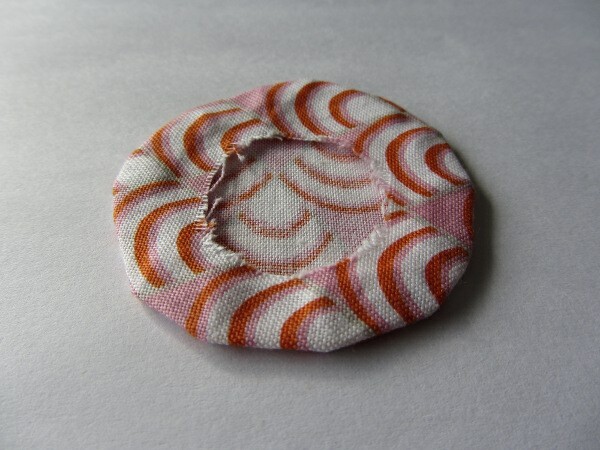 Take one of the cotton circles, fold it into 4 an cut the corner at about 1cm (0.4’’) as shown on picture 2. You now have a losange as shown on picture 3. 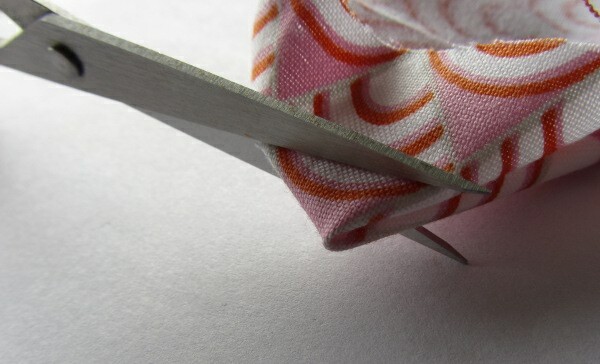 Trim around to get a circle around 2 cm (0.8’’) diameter as shown on picture 4. 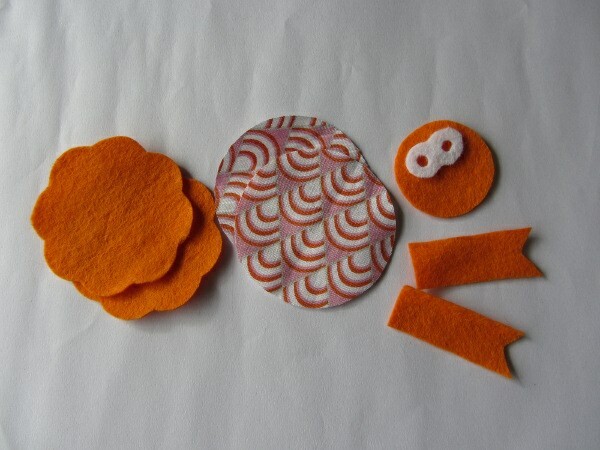 Pin the two cotton circle together, right sides facing. 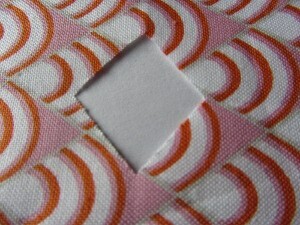 Stitch at around 5mm (0.2’’) from edge as shown on picture 5. 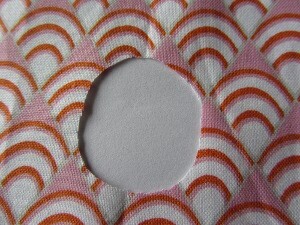 Turn right side out through the hole and press to flatten edges, as shown on picture 6. 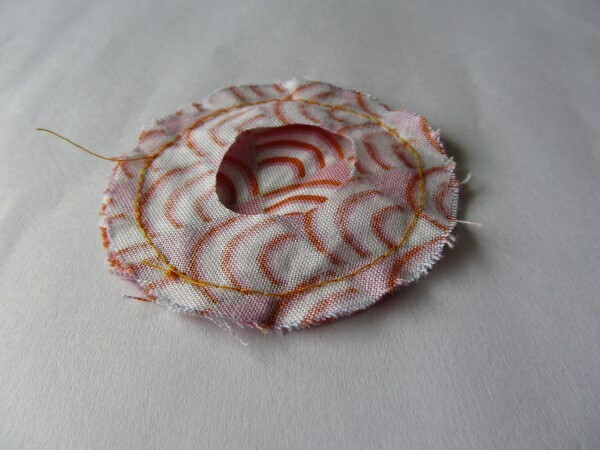 Position the cotton circle in the centre of one of the flower shapes and make a whip stitch as shown on picture 7. 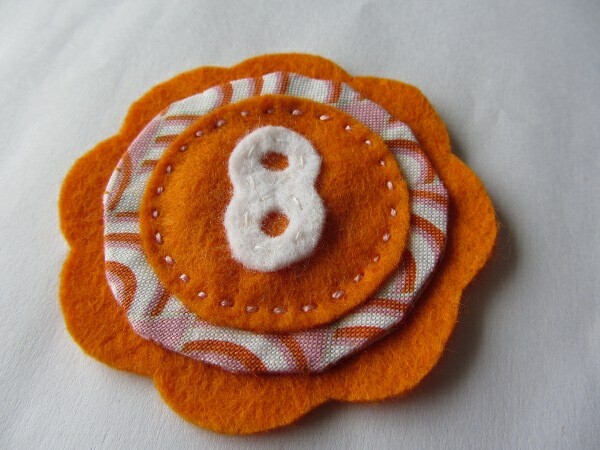 Stitch the relevant age number at the centre of the smaller felt circle. 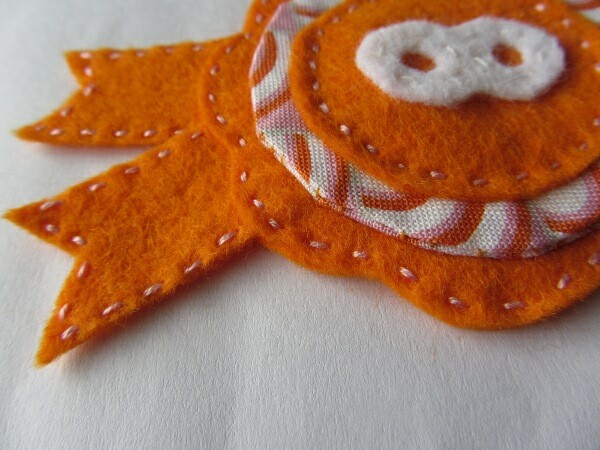 Then pin the felt circle in the centre of the cotton circle and stitch using a small running stitch with 2 threads of embroidery floss. Result of this step is shown on picture 8. 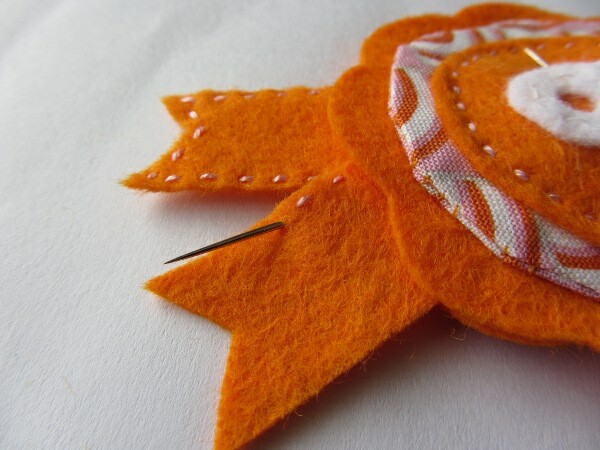 Position the two ribbon pieces at the back of the flower felt piece as shown on picture 9. Secure with a whip stitch, see example on picture 10. 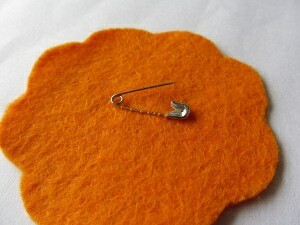 7 – Add the safety pin. 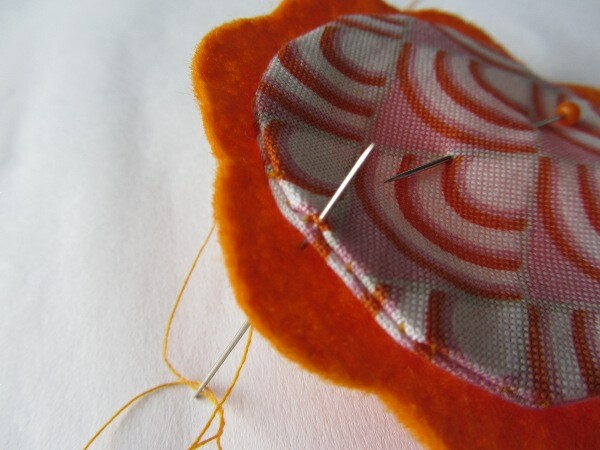 Position the safety pin right in the middle of the second flower piece and stitch as shown on picture 11. 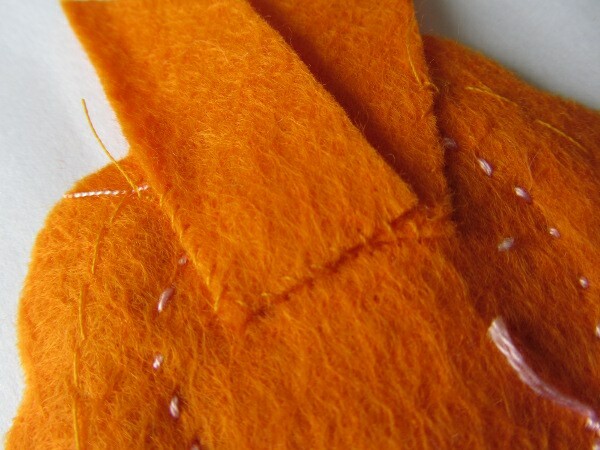 If you wish so, you can stitch a tiny square of felt above the stitches to hide them (see picture 12). Using pink embroidery floss, make small running stitches along the ribbon edges (see picture 13). 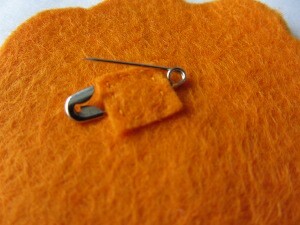 Then pin the two flower pieces, making sure the safety pin is positioned correctly. Join them with the same running stitch. And you’re done, as shown on picture 14!